According to a Markets and Markets report, the global packaging printing market size is projected to reach USD 574.47 Billion by 2026, with Asia-Pacific projected to account for the largest share in the packaging printing market in 2021 backed by the rise in manufacturing activities. In particular, the packaging printing market will be driven by strong growth in the demand from the food and pharmaceuticals sectors. The growing pharmaceutical industry and its popularity of using convenient packaging alongside growing demand for packaged and branded products in the food and beverage industry are major drivers of the market. In this backdrop, packaging and printing innovations and new technology will come under one roof at the next edition of PACK PRINT INTERNATIONAL, taking place from September 18 – 21, 2019 at BITEC, Bangkok, Thailand. 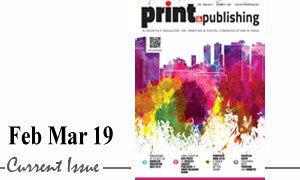 A tripartite collaboration between Messe Düsseldorf Asia, The Thai Packaging Association and The Thai Printing Association, PACK PRINT INTERNATIONAL, modelled after No.1 global trade fairs in their respective sectors – drupa and interpack, will mirror latest trends in the packaging and printing markets at its 7th and latest installment. A new study from Smithers Pira – The Future of Printed Labels Market to 2019 – shows that Asia is the largest regional producer of labels and its share will grow to more than 41% of the world’s value by 2019. On the back of these market trends, the labelling zone returns as a thematic, targeted setting for those involved in the end-to-end functions of the label market to showcase their latest label technology, new materials, adhesives and manufacturing application methods, with an exhibit range that will include smart labels, flexo presses, inspection system and RFID. Beyond serving as a launch pad to showcase smart and innovative labelling technologies, the labelling zone will also allow exhibitors to engage with targeted buyers from vertical markets such as consumer goods, food & beverage, cosmetics, luxury goods, pharmaceuticals, electronics, retail and logistics. 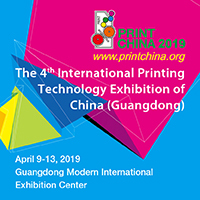 Participating leading brands include: Konica Minolta, Riso, KURZ, Zund, Duplo, Nakayama Corporation, IST METZ, K Laser, Tsukatani, Copierland, Kinyosha, Cyber SM, Nationwide, Foilmaster, Technology 2004, K.W.S. Supply, MBA International, Modify Ink, M.D. Machinery & Supply, Mega Uni-Trade, Press Systems, Superior Inkjet, Rich Inter Product, Hua Far Import Export, BPS United and Sansin. 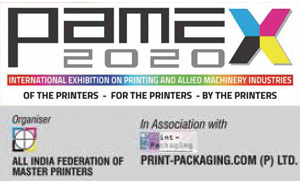 The next Asian Packaging Federation (APF)’s General Assembly will be held alongside PACK PRINT INTERNATIONAL 2019. Leaders of key packaging associations in Asia meet annually at this General Assembly at different host cities to discuss issues and promote the growth of packaging industry in the Asian region. In conjunction with the meeting, the AsiaStar Awards – a packaging competition to award the Best of Asia – as well as regional seminar featuring international speakers will also be taking place across the 4-day event. Space booking for PACK PRINT INTERNATIONAL 2019 and the labelling zone is now open.